As many of you know, for a bunch of reasons, I’ve needed to focus a lot of energy on things happening around me and to people close to me for a good year or more. It’s left me deeply exhausted with no energy to undertake anything really new or challenging, especially anything that relies on my own impetus and momentum… I just haven’t had any! I’ve struggled with that and found it really hard to find the balance between surrendering to the process (which is essential and absolutely what I have wanted and needed to do) and maintaining a sense of myself and my own purpose. I’ve also found that, when something terrible happens to someone you love, it can be hard to feel ok about putting energy into good things, about making new beginnings when they may have only endings. This is only my experience up to this point… I hope that others experience and see it differently and I am sure many of those terminally ill would tell me I am wrong in feeling the way I have. When Michelle wrote beautifully about this recently, she reminded me of the need for hope and beauty in the face of darkness. I think I still have a lot to learn about life. And so I am making some new beginnings. Today I start at Sunspun, the best little yarn shop in town! My friend Amy recently took over this lovely old girl and, while the the best and most beautiful aspects of the shop will endure, she’s gradually making some great changes. I get to work with very beautiful yarn and great friends and to meet a whole new group of knitters- I couldn’t be more thrilled… Come and say hello to us sometime soon! This new position means that I’ll no longer be on the floor at Morris and Sons (though I’ll still be teaching there most Saturday afternoons) and I’m really quite sad to say goodbye to my community there- it’s been 4 1/2 years and everyone is like family!! However, this knit community of ours is a small one and I think we’ll be seeing each other for sure… and the change will ultimately be a good thing for me. 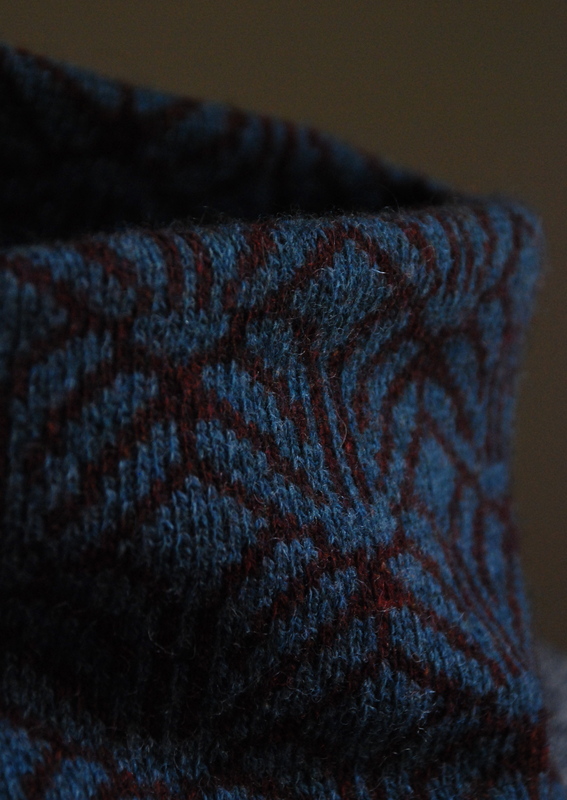 I’m also working towards putting out there the colourwork cowls (non-knitters: read neckwarmers!) that I’ve been making recently. I’ve been wanting to do this for a while and I finally have the space and energy to set up and run a little online shop. See the shop tab on my header?! It isn’t connected to my bigcartel shop yet, but it will be very soon! 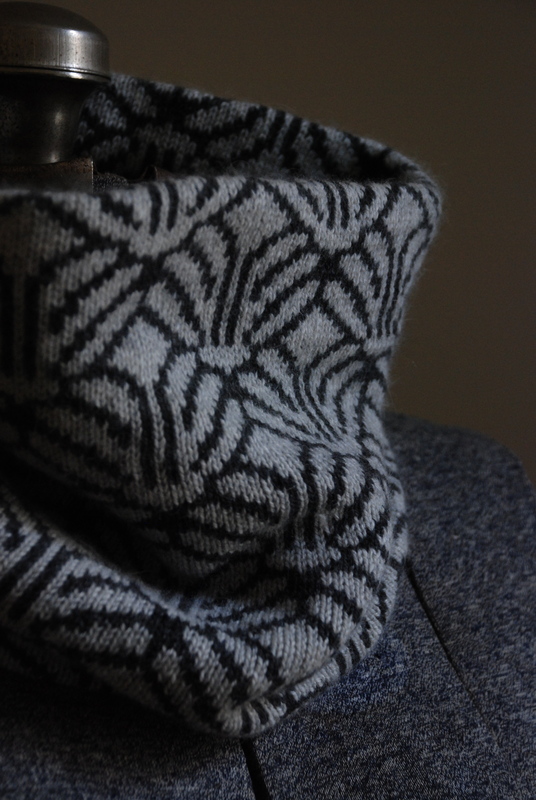 This cowl design is a simple, double-layer tube made on my hand-operated vintage knitting machine. The rectangle works really well as a canvas for colourwork patterns, all inspired by botanical shapes, naturally! 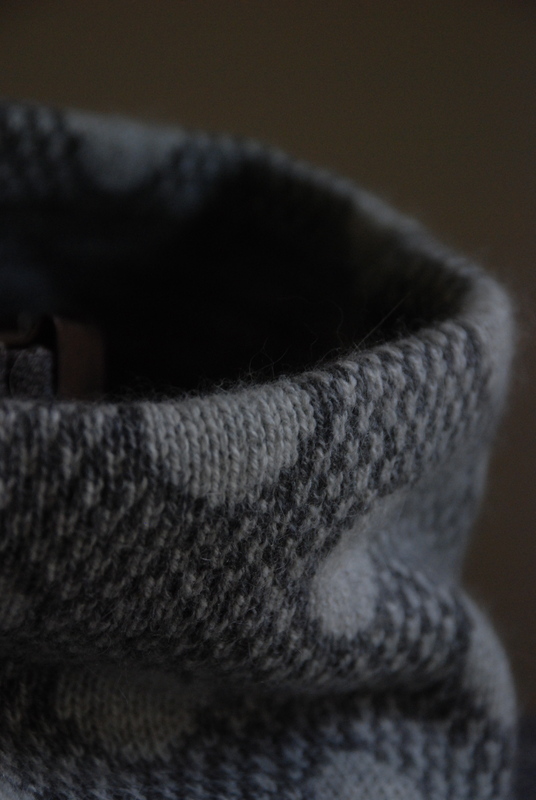 The shape and size mean that it sits comfortably around the neck and the double layer keeps the warmth in and the wind out. Several commissions for a good friend Amanda has given me the kickstart I needed to get moving on these. Anyone who knows Amanda will immediately recognize her colour palette- grey on grey on grey! I’ll be working with a much wider range of colours in lambswool for mine but I really loved working with Amanda’s colours and luxury fibres- cashmere and mink! So, as well as working on some new classes for the Craft Sessions, that’s a fair bit of new! Wish me luck with it all… I’m feeling super excited but a bit overwhelmed too. This entry was posted in knitting and yarn, plants, textiles and tagged knitting, machine knitting, sunpun, textiles, woollenflower cowl, woollenflower shop on August 1, 2013 by admin. Hooray for new yarny adventures! 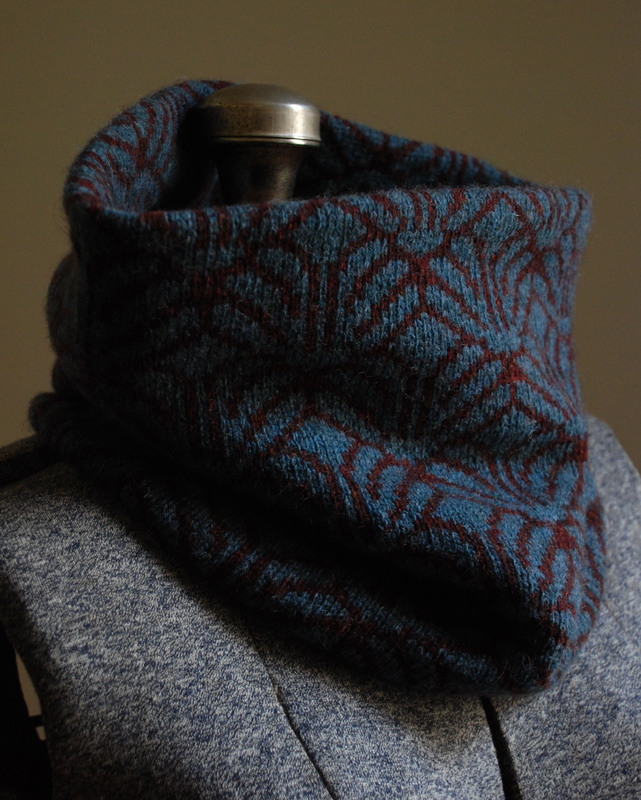 You know we all love your neckwarmers/cowls! And I will most definitely come and visit you at Sunspun – it’s my “local”. Thrilled you will be there and I will be eagerly watching the new developments at the store. Those cowls are beautiful. Good luck with the new adventure, I must tell my sister, she lives pretty close to Sunspun. 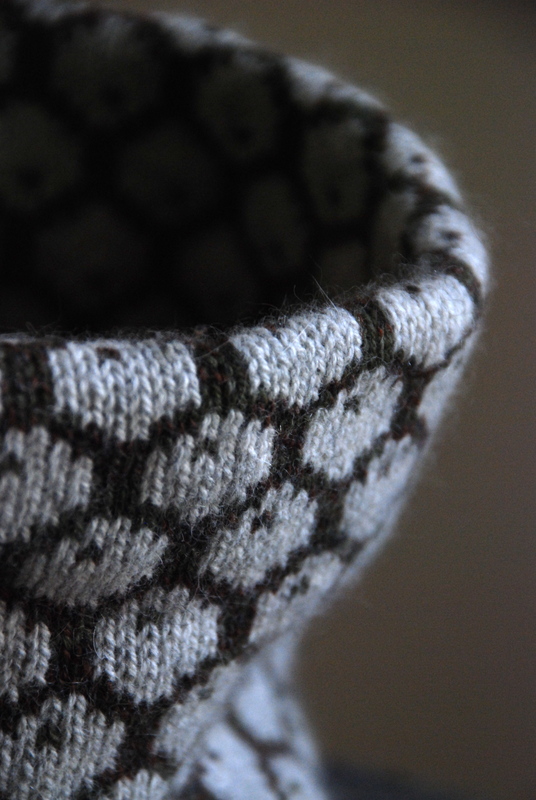 Jules, the cowls are lovely. I can’t wait for you to start your shop! I lost a very close friend to cancer in March so I can very much empathise with how you’ve been feeling. I couldn’t do ANYTHING until very recently. But can I tell you how I am excited by your news?? Sunspun is my closest yarn store and it’s my favourite! What days will you be working? Jules, exciting news about new adventures! And your cowls are stupendously beautiful. must come and visit you at your new digs. Those cowls are so beautiful Jules! And I am thrilled to bits to have you working with me! It’s going to be so much fun! I told Matt you were going to make cowls to sell, he just read your blog and said that they looked really great, better than he thought cowls would look 🙂 He’d wear one!! Need to make manly ones! Keeping an eye on that shop link! I LOVE mine, have been wearing it almost everyday since I got it! One other had gone to its new home and the third one will go to Japan in October! Thank you so, so much for making them! I’ll have to visit Sunspun once I move back to Melbourne. Good luck with the new adventure. So happy for you wonderful Jules! I wish you every success for all your yarny adventures. 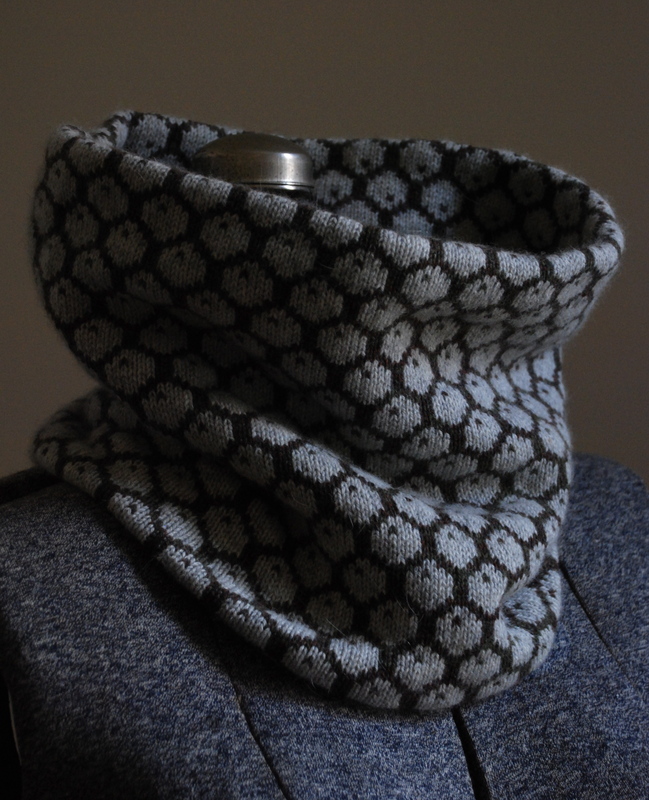 jules, these cowl designs are amazing! 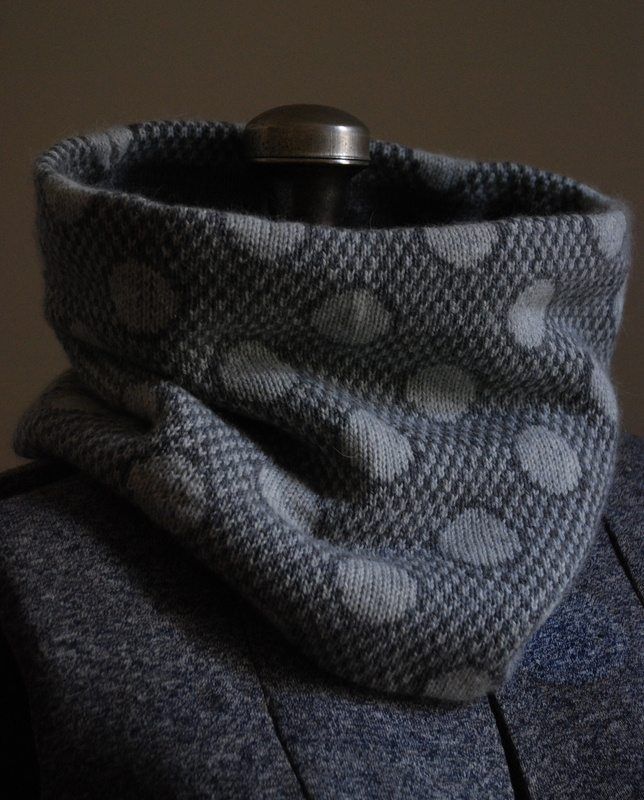 i would love to knit the banksia in cozy greys.